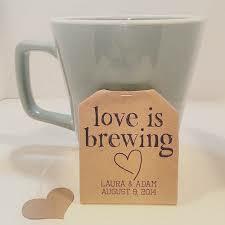 As your wedding date approaches, one of the items on your checklist that you’re probably starting to think about are wedding favors. The options to choose from for favors are endless. 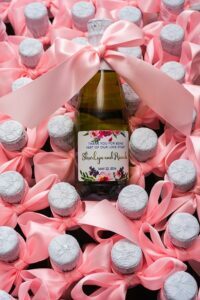 Sure you can give away something more traditional like Jordan almonds, a bottle opener or a box of matches – but your wedding favor can be a fun opportunity to let your personalities shine! Who doesn’t love wine? If full-sized bottles are out of your budget range, most wine stores sell half size or even mini bottles of wine. 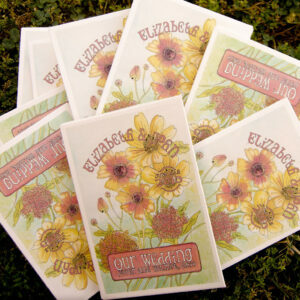 You can personalize them by having custom labels printed or even printing them on your own. Of course, if wine isn’t your favorite drink – speciality liquors like limoncello, whiskey, rum or tequila are all other great options. Is your favorite cocktail a mojito? Maybe it’s a martini or Old Fashioned. 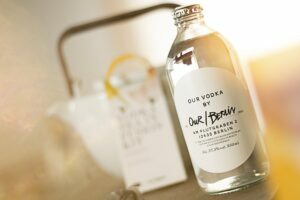 Whatever it is, you can create a simple and fun DIY favor by putting together a mini cocktail kit. This can include a muddler and small bottle of white rum for a mojito kit or a bottle of whiskey and bitters for an Old Fashioned. Whatever you choose – just make sure to include a recipe! Perfect for couples who are coffee (or tea) lovers! You can’t go wrong by giving out your favorite brand of coffee or tea. Your guests will love getting some tasty coffee or tea to take home and enjoy. 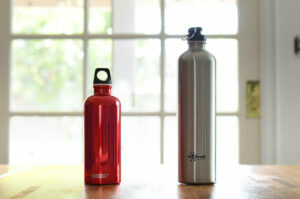 There are many websites where you can have custom water bottles made in bulk. 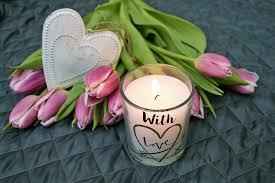 You can print a funny message, a thank you from you and your spouse or even your favorite quote! Not only is this a fun gift your guests can keep forever, but you’ll help do your part to protect the environment too! 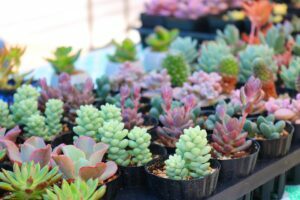 Who doesn’t love succulents? They’re easy to care for and add a beautiful little touch to their home or office. Plus it has the added sentimental value of being something that will make them think of you every time they see it. While this is a lovely option for any wedding, it is an especially great, thematic choice for those having a summer or an outdoor wedding. 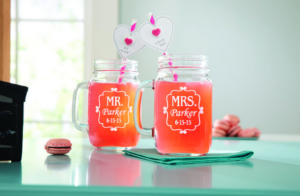 Custom glasses with their name or initial on the cup is a another favor your guests will love and keep for years to come. 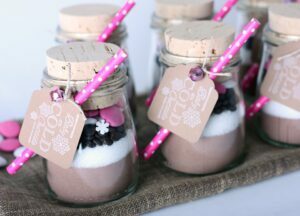 Plus you have so many options to make this favor tie into your theme – wine glasses, mason jars, shot glasses – even coffee mugs! This may be a more common favor option, however you can be unique by creating your own scent and making your own candles for a fun DIY favor. 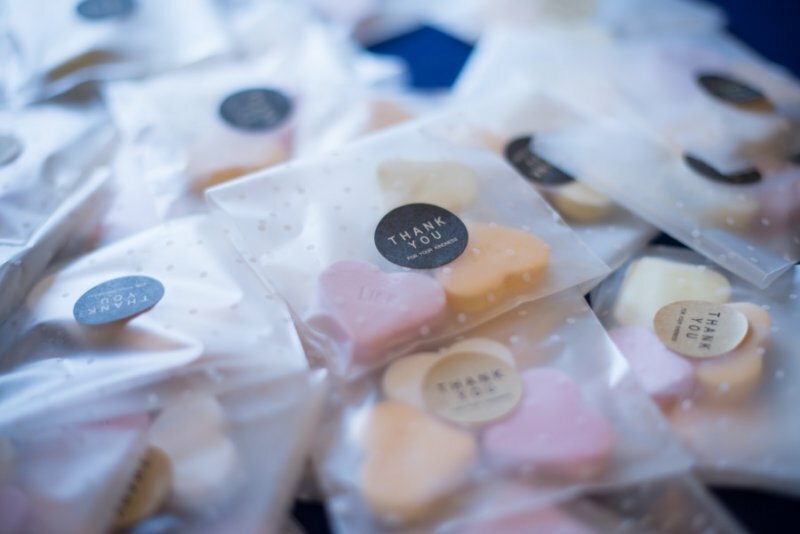 If handing out favors isn’t your thing, a great alternative is making a donation to a meaningful charity with the money you would have spent on favors. 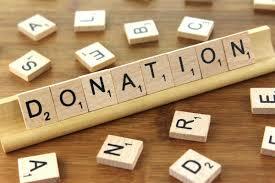 You can leave a note on your guests’ place settings letting them know a donation was made in lieu of favors.